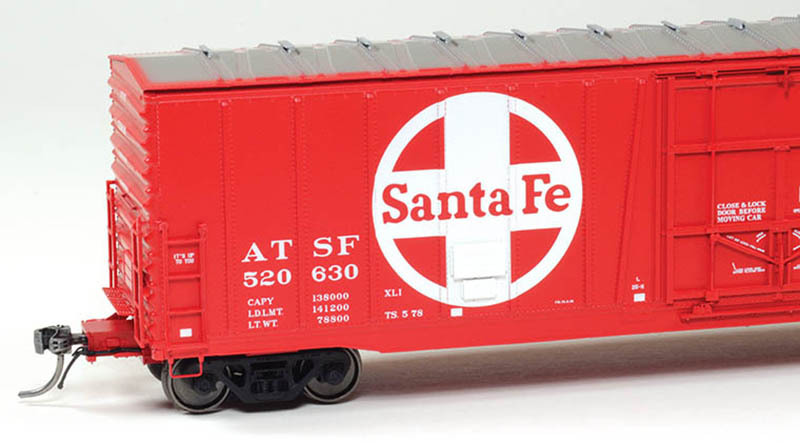 A recent release from Moloco Trains provides a pair of highly accurate examples of Santa Fe’s Bx-97 boxcar. Each road number produced (ATSF 520551 and 520630) by Moloco includes its own road number-specific details and decoration. The fully assembled HO-scale model is re-issue of this impressive tooling originally release a few years back. Among Santa Fe’s Topeka Shops produced rolling stock was a series of insulated boxcars carrying XMLI mechanical code and classified by the railroad into three groups: Bx-94, Bx-97, and Bx-114. Production of the fleet of 1,450 examples began in 1965 and concluded in 1967. These boxcars included many features providing the upmost in cargo protection. As Moloco Trains states in its description of the prototype, these freight cars can be considered “Cadillacs” among boxcars. The series provided insulation to maintain a narrow range of temperature and humidity fluctuation from the time the car was loaded at it origin point and sealed shut to when it was opened at its destination and unloaded commenced. Depending on the series of road numbers, you’d find interior appliances to aid in securing and protecting the load that included side-wall fillers, load dividers, and removable bars and gates. Couplers stuck out from each end thanks to the inclusion of Santa Fe’s much touted “Super Shock Control” cushioned underframe. While HO models have for decades reproduced this “Super Shock Control” labeling, on Moloco’s release it’s not just on the car sides…it’s also present under the car as part of the highly detailed underframe. Though all this sound impressive, one important feature that made Santa Fe’s Topeka Shops insulated boxcars of the mid-1960s equally valuable was the design’s adherence to “Plate B” clearance standards. 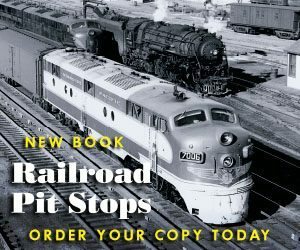 As freight cars became more and more specialized in design and able to haul up 100 tons, frequently a concession was a clearance issue that might limit where these bigger cars could operate. The tradition 40-foot sliding-door boxcar, such as Pullman-Standard’s famous PS-1, was a “Plate B” clearance example and could travel virtually anywhere in North America without issue. Freight car beginning with “Plate C” label ran into areas that they didn’t fit. These Santa Fe car provides the extra perks, but didn’t give up any compatibility to navigate into tight clearances to visit customers to pick up and deliver loads. This collection of insulated boxcars remained in service beyond Santa Fe and saw use until after the arrival of BNSF in the mid-1990s. This recent production of Bx-97 boxcars presents the prototype following a May 1978 visit to Santa Fe’s Topeka Shops. During the visit, the boxcar received a new coat of Indian Red paint and fresh lettering decoration. Moloco Trains goes to extremes with its two new Santa Fe repaint models, which the manufacturer is labeling, “TS 5-78 Red Repaint,” denoting Topeka Shops “TS” and the late 1970s date for the shop visit “5-78.” What you’ll find comparing the two offerings is that each replicates features and lettering that match those two road numbers. For example, Moloco’s ATSF 520551 comes with a Miner-type 6600 handbrake detail, while this review’s ATSF 520630 possesses a Universal-type handbrake detail. The 1978 capacity data is accurate showing “LD LMT 140900” for ATSF 520551 and you’ll see “LD LMT 141200” listed on Railroad Model Craftsman’s example. 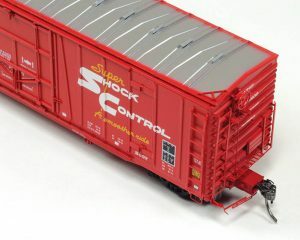 Further inspection finds placement of the right side’s “Super Shock Control – A smoother ride” resides in slightly different locations on the boxcar sides for each road number, which reproduces those two prototype’s appearances. Details of note across both Bx-97 releases include a lack of rooftop running boards and short ladders on the car’s A-end. While those features make this a “modern” boxcar, as was done for many the brake wheel remained in place up near the roofline of the B-end. This required the B-end’s ladders to remain the full length, running from the frame up to the top of the car side. By the way, Moloco’s tooling for its ladders replicate the Topeka Shops design and style. The ends of this model include accurate and unique Stanray 4/4 ends used by Santa Fe for this series of boxcars. Additional details include etched metal crossover platforms over the cushioned couplers, as well as a small etched metal platform below the brake wheel. On the ends, you’ll find coupler cut levers and rubber hoses. The rubber hoses are a great feature, as this is a detail that even with careful handling can often fall victim to damage. The stirrups on each corner of the car are separately applied metal and provide an authentic look with a scale appearance that enhances this already knock-out release. One other great “attention-to-detail” feature is Moloco’s inclusion of a grab iron at the top of the ladder on the B-end. This should be present on modernized cars, but often has been omitted on numerous models of this variety. The boxcar models both include a new Moloco-made 70-ton Ride-Control roller bearing truck with 33-inch metal wheels. The cars come equipped with Kadee’s excellent metal scale-head whisker knuckle couplers located in accurate draft gear boxes. This car carries a $53 suggested retail price and is a limited-production release. Is it worth it? There are a great many very good to even excellent boxcars on the market today in HO that feature retails from the mid-$30 range and north. What makes this boxcar worthy of investing more than $50? 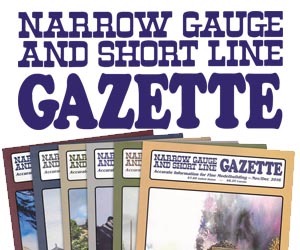 You may never have a string of 6, 8, or 10 of these cars on your layout. But, like many finer things, I think it’s great to treat yourself to at least one really awesome model now and then. These Moloco Trains HO-scale freight cars are a good example of what I’d consider a treat for your rolling stock roster. This is a car that you’ll sit and marvel at the attention to detail and quality of the finished product. We may not all have the opportunity to get behind the wheel of a new Cadillac, but consider budgeting a Moloco boxcar for your collection. 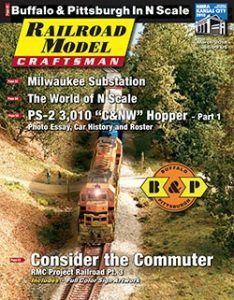 For those that may have heard that hobbyists in the U.S. are at a disadvantage in ordering from Canadian-based Moloco Trains. You’ll be happy to hear that models now ship from within the continental U.S. and shipping is no more than you’d expect to pay for most any freight car shipment. You’ll also find Moloco Trains rolling stock available from a number of hobby dealers.